Built to keep you running, the Nike Gyakusou Men's Short Sleeve Packable Jacket features details inspired by Japanese designer Jun Takahashi. Its woven fabric is lightweight and the attached hood helps keep you covered. Grey Engineered Lapel Striped Donegal Wool Classic Sport Coat from Thom Browne featuring notched lapels, cropped sleeves, button cuffs, a front button fastening, a broad welt chest pocket, front flap pockets, a double vent to the rear, a fitted silhouette and a signature stripe to the lapel. Made up of 30% mohair and 70% merino. Borg fleece lining with a hood can be stowed away inside the collar. Famed for their print t-shirts and innovative washed jeans, Superdry combine Japanese design influences with timeless American style, producing a complete clothing range that captures Superdry's laid back yet stylish take on casual menswear. It might be July, but that hasn’t stopped opinion dividing rule-breakers Vetements from unveiling a new collab with luxury outerwear label Canada Goose. Vetements’ SS17 collection, unveiled yesterday in a Parisian department store, is actually 18 — eighteen — individual collaborations, and Canada Goose has supplied some heavy-duty outerwear for the occasion. It’s great to see the accessibility and profile of Sassafras rising, with twice as many UK-based stores now offering the brand's gardening-inspired clothing. End is the latest shop to do so, having just received a number of utilitarian shirts, pants and jackets made from durable materials like duck canvas, denim, wool, and a real staple in the line season after season, 60/40. 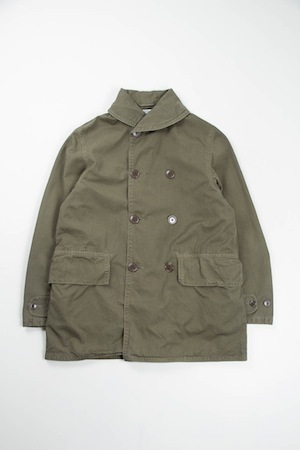 It seems that whenever a new Ten C coat or jacket is released it climbs to the top of my favourite outerwear list almost immediately. That’s basically how I feel having seen this down jacket. The brand’s designs are always exceptional, anchored in understated styling and first-rate construction. Plus, the triangular stitching on the neck flap in this instance is incredible. They’ve made a few brighter colours in this style, but when it comes to wearability, you can’t go wrong with navy. The Ten C Arctic Down Parka is constructed from a water-repellent polyester blend with down feather insulation. Styled with a concealed zip closure with press stud flap, two front pockets and a drawstring hood. 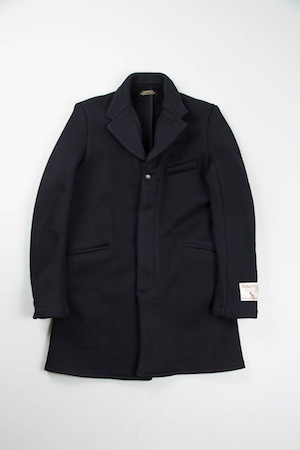 This season orSlow have expanded their offering to include a variety of new outerwear pieces, one of which is this unlined shawl collar coat, well-suited to layering. 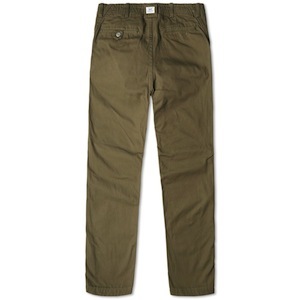 Made from durable cotton poplin, it features a double-breasted front, large flap pockets and adjustable cuffs. Having the option to button it right up to the neck and further fasten the collar with a storm flap, make it a great option in chilly weather when the wind picks up.